I love these challenge because it just allows so much creativity and a chance for many people to participate. 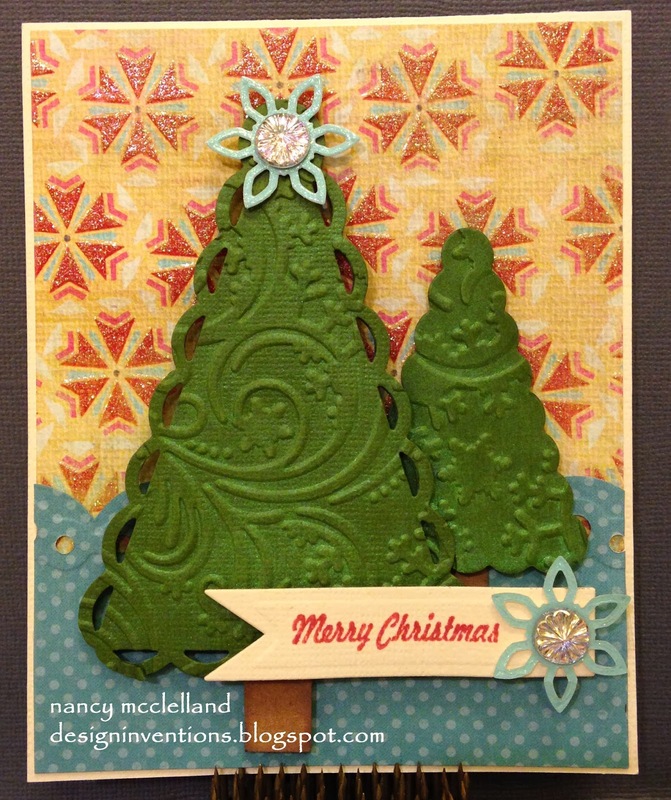 My card this week offers up a Christmas theme with a few die cuts. 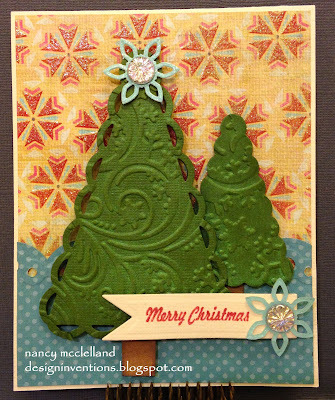 The trees were made from the Spellbinders Nested Lacey Pennants set. I just cut a small brown rectangle for the tree base and I can't remember which flower punch a used for the top. Anything like this would work. 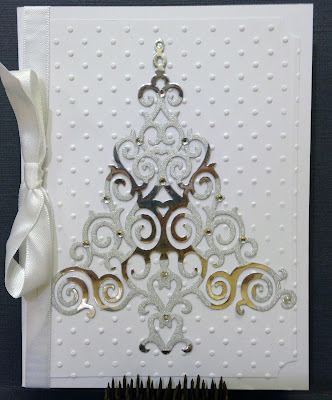 I also used an embossed design on the tree with some shimmer spray. 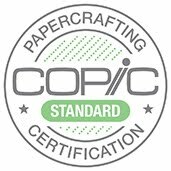 These trees where double cut and I used pop dots for the added dimension. Just another way to use your die in a different way. I hope you enjoy and thanks for stopping by today. It's Saturday , boy has my week been full. I need to work extra hard the next couple of days before Thanksgiving . And speaking of the holiday, I want to share my project this week for the Hiding In My Craft Room challenge. 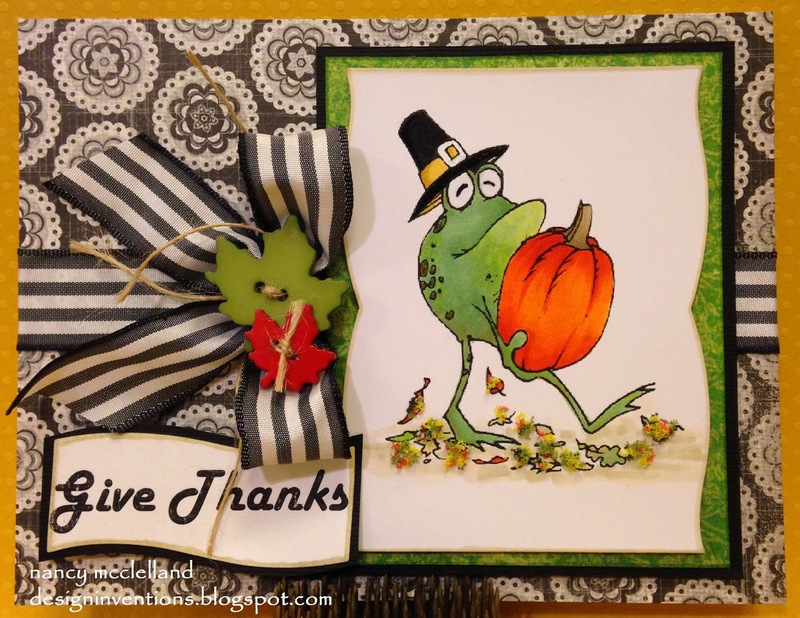 We are featuring projects for Thanksgiving or being Thankful. This is my card for the week and it is also the card that I sent our for Thanksgiving. I massed produced the card, but no 2 cards are really alike. I sent out 15 cards and yes, they did require extra postage (66cents). 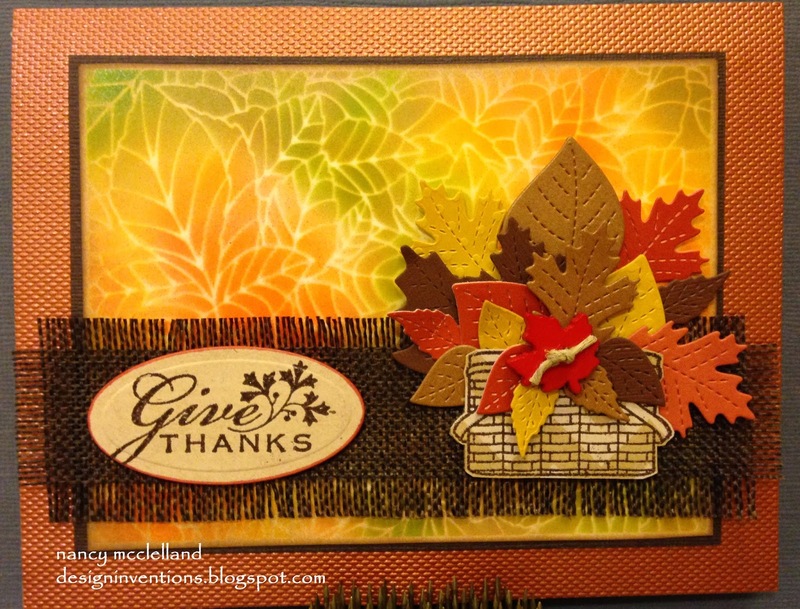 I used my trusty die cut machine and just started cutting lots and lots of leaves. 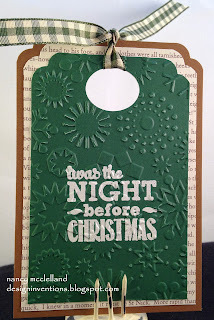 I was able to use up so many scrap pieces of paper which was another plus. The die set I used is from Taylored Expressions and the basket is a stamp out of a Papertry Ink set. Misc. buttons and twine were used. 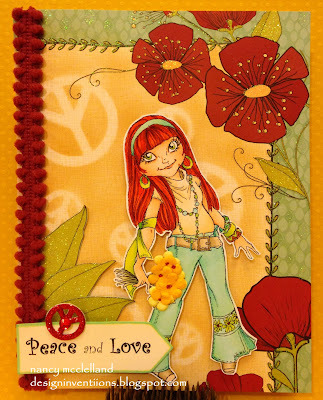 The background on this project card was made by using a Dreamweaver metal stencil and my Copic Airbrush, I just didn't have time to do that on all my cards but managed to use some other special papers. 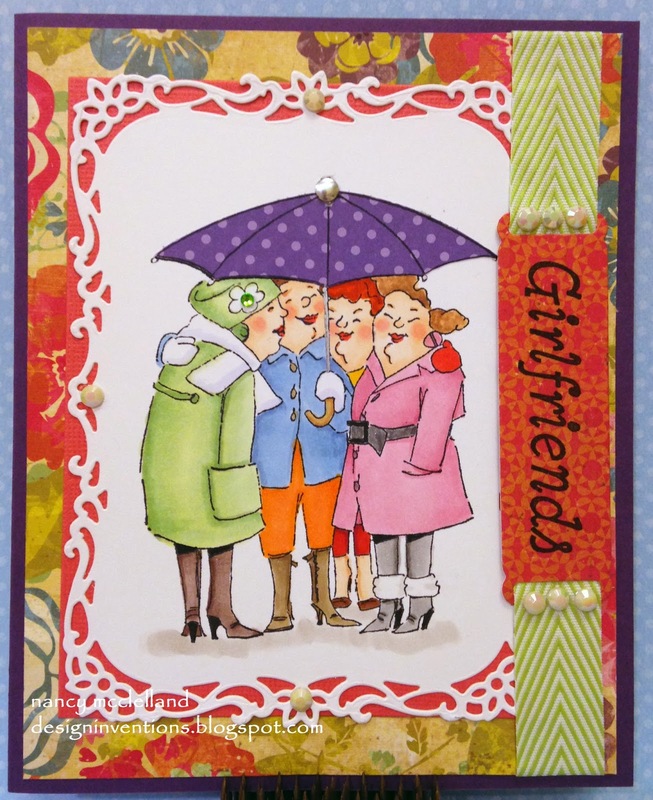 I hope you enjoy this fun card and spend some special time this week with the ones you love. Sorry I've been absent the past couple of day's, but I needed to take care of a few housekeeping issues and work on some projects. I have a group of ladies that meet at our office several times a month and I'm on for a tag class in December. 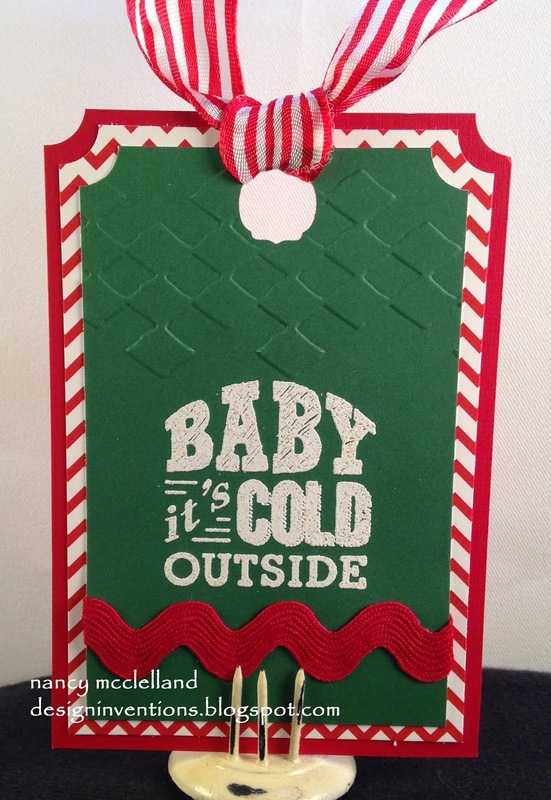 I have a few ladies with no card making experience and then a couple that are advanced. I always think its fun to just have a small make-n-take that is simple and easy to give the ladies a kick start with ideas. While I worked on my tag projects for my crafting group, I had these tags left over to share. 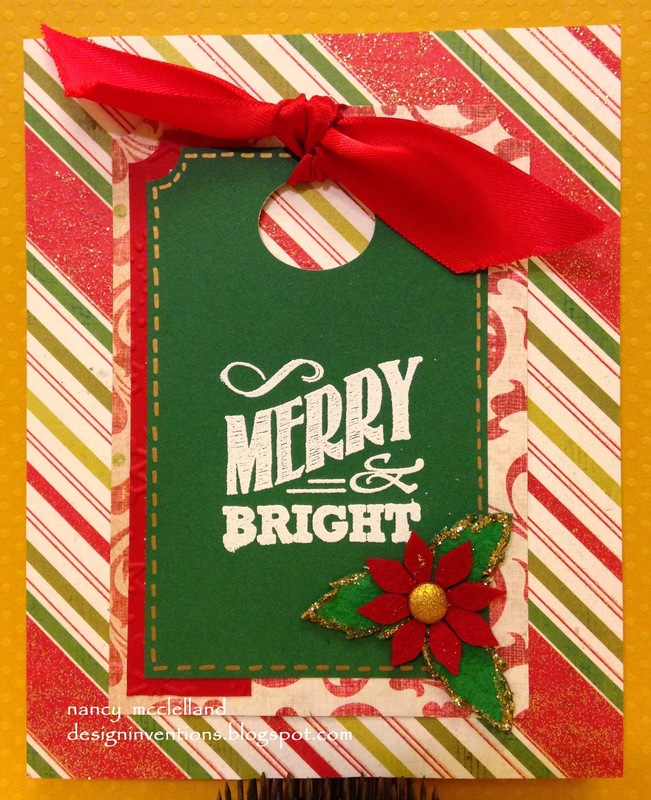 I picked up these fun holiday buttons at Hobby Lobby the other day and decided to make a gift tag set. I have a 16 tags, 2 of each design. 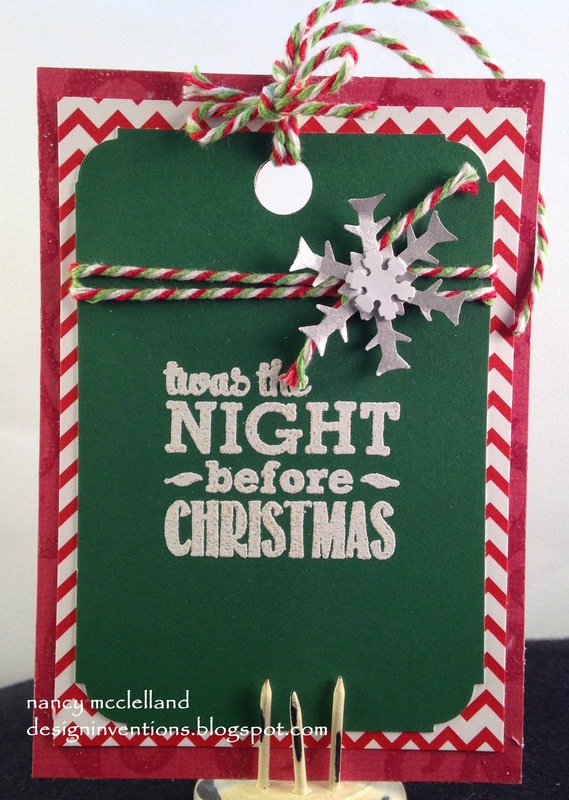 Simple design with layers and a basic sentiment. These tags will not be included in my upcoming class but I will take them along to show the gang. Thanks for stopping back by today. 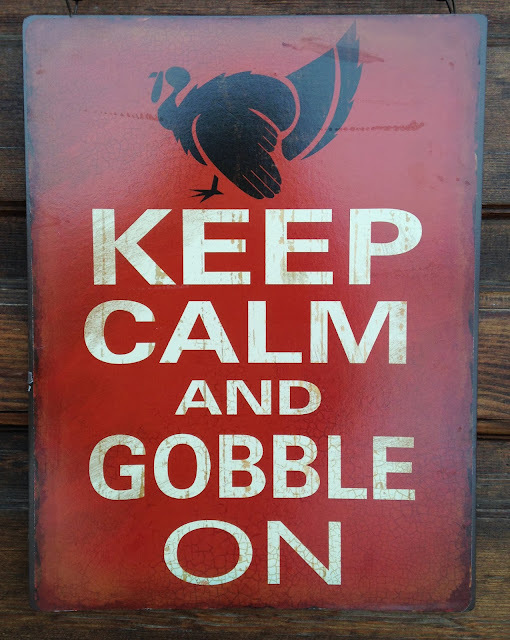 My Thanksgiving cards hit the mail today, so that's one more box checked off the list. Monday brings a new challenge from the Greetings team at The Outlawz. 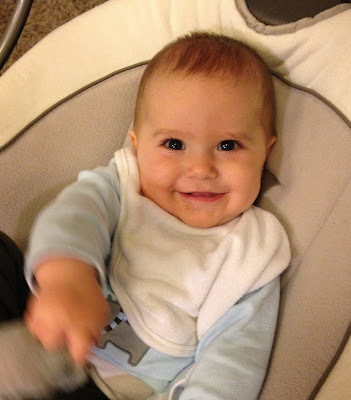 My image is Freddie Pilgrim and isn't he just the cutest thing?? 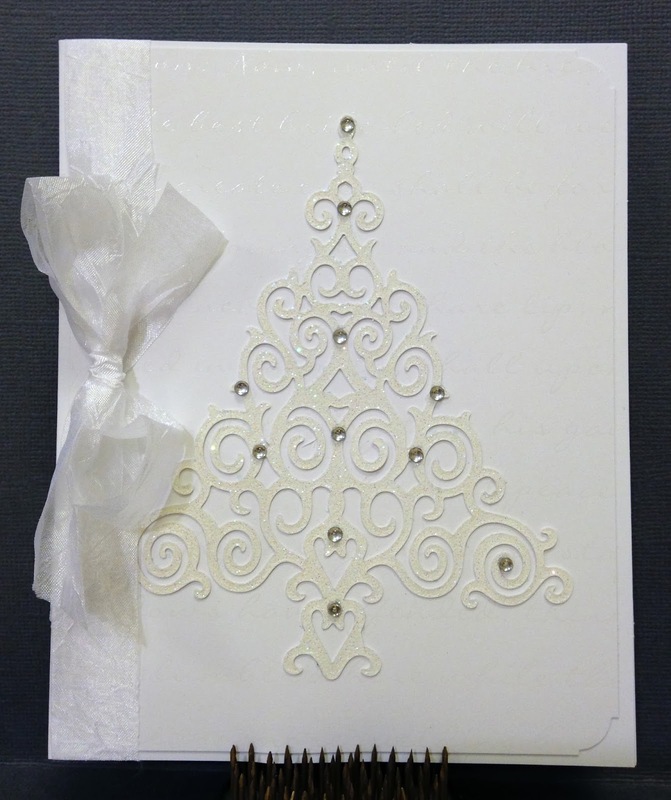 I chose a very simple design and basic black and white colors with the accents of the image. I found the fun leaf buttons in my stash and they are a perfect fit. My sentiment is computer generated. Thanks for stopping by today and I hope you find the time to go over and visit The Outlawz. It's been one of those days, cold, rainy and not as productive as I wanted. I hope everyone in the Midwest is safe and sound, with all the tornado's today. I have an additional card challenge to post for my Hobbycutz Design project. I have a cute little image from Kenny K to share. I hope you go over and check out Hobbycutz Challenges. Thanks for stopping again today. 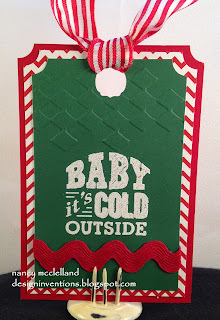 It's another Saturday and Hiding In My Craft Room is featuring projects using Die Cuts. The Design Team has some fantastic inspiration to share this week, with amazing variety. 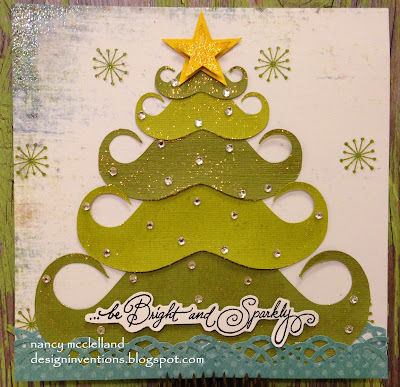 I created a Christmas Tree using a variety of sizes and 2 colors of green. I used my Cameo to cut the mustaches and then I used a Martha Stewart border punch at the bottom. 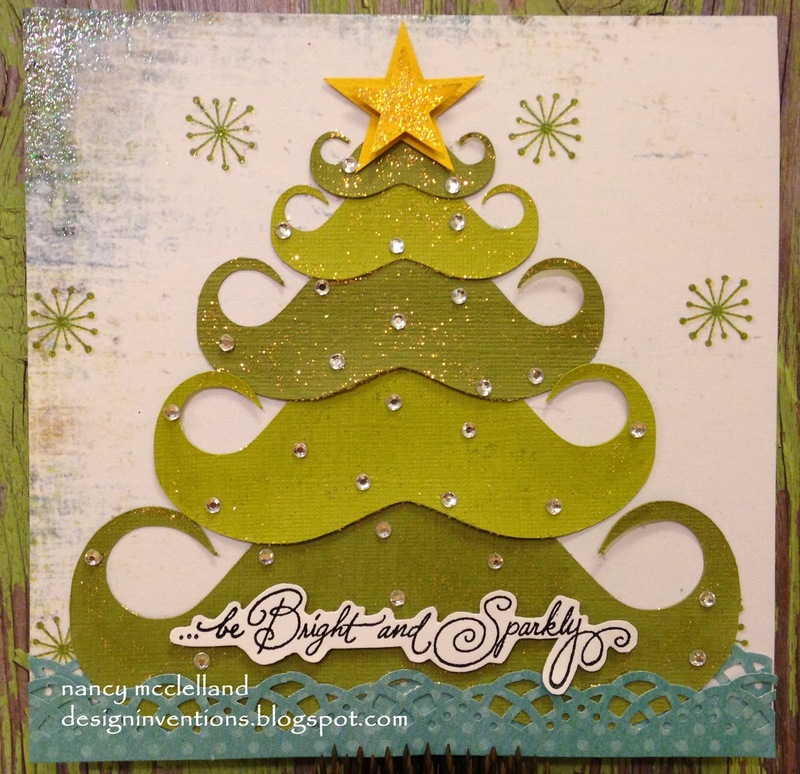 I used Stickles on the tree, added a sentiment and then some bling. I hope you enjoy and try a new way to use your dies and punches. This is my grandson Jasper. I take care of him every Friday and just didn't get my post done before he arrived. I have him down for a nap right now, so I thought I'd get a short post in. 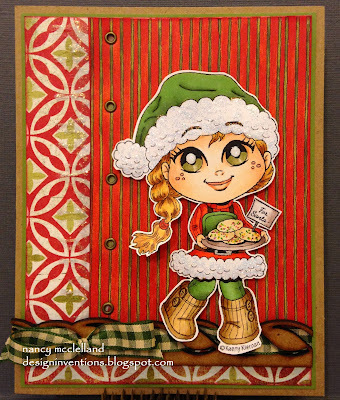 I want to share another card today that I made from some pre-made leftovers from last Christmas. 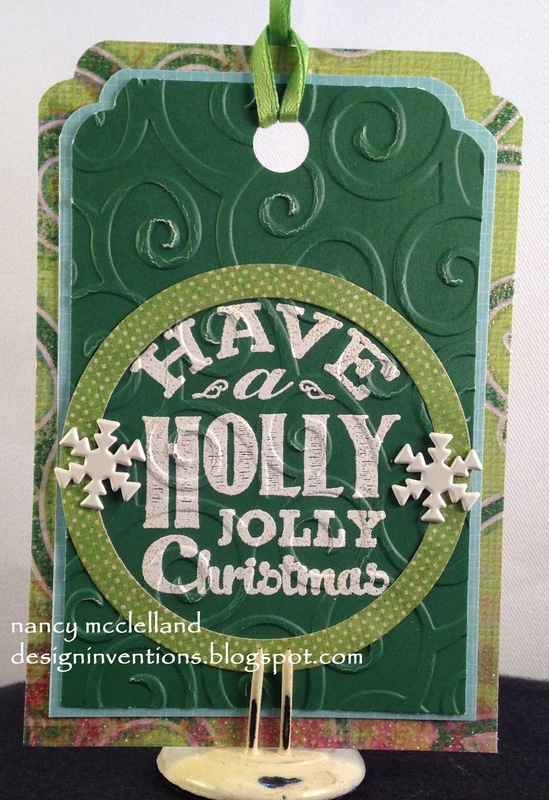 I stamped and die cut several of these Spellbinder ornaments, so I decided to make a couple of cards. 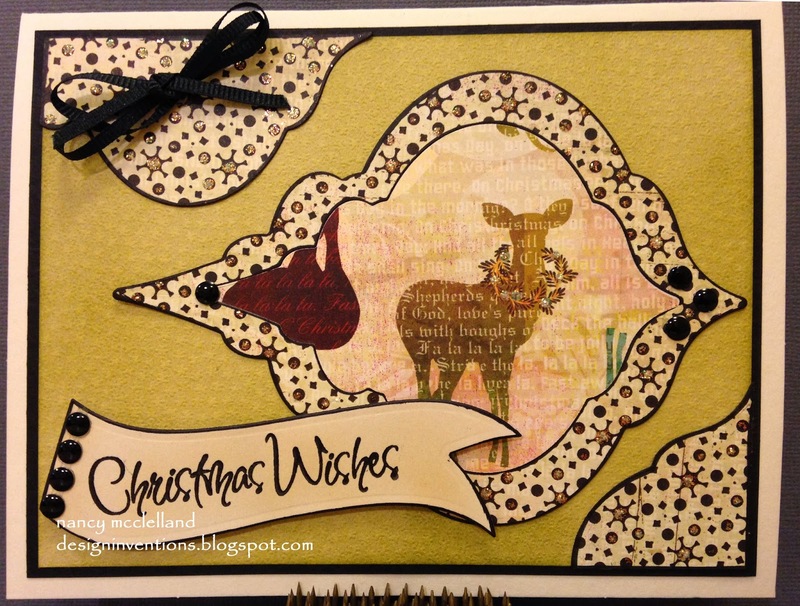 This one I decided to used the reverse of the actual paper because it had this cool deer on it. 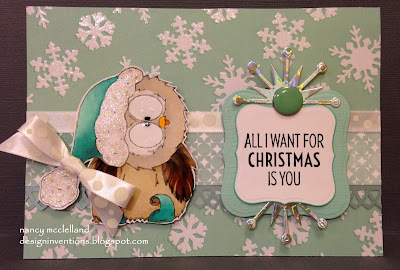 Laying the ornament on it's side and adding a few extra pieces parts with a sentiment and embellies. 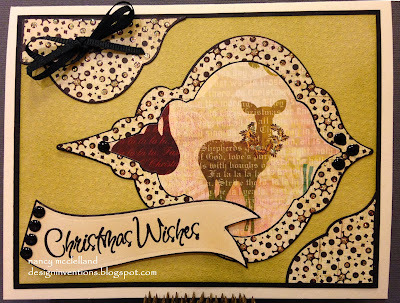 On Tuesday I featured a tag series and today I want to share a card I made with one of my tags. It is so easy to just pop them on a card base, add them to a scrapbook page or have a back-up stash for presents. You can do this for any occasion and it's so easy. 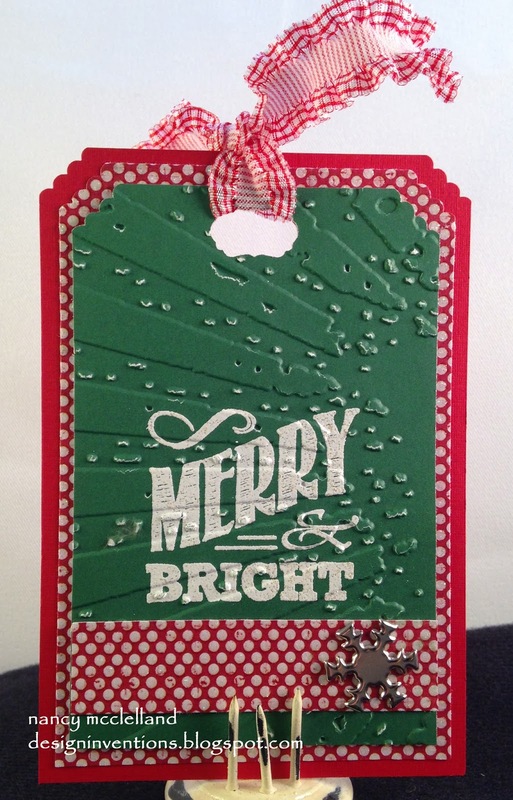 You might see that I jazzed-up the flower on the bottom of the card with some glitter. I hope you enjoy and start making tags. I'm posting a couple of cards that I made last year and I'm not sure if I ever shared on the blog, well anyway I feel they deserve honorable mention . 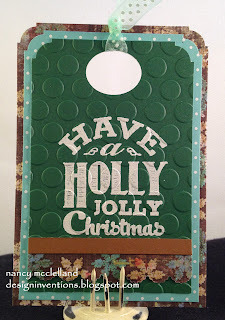 I made these using the Spellbinders 2012 Holiday Tree die set. 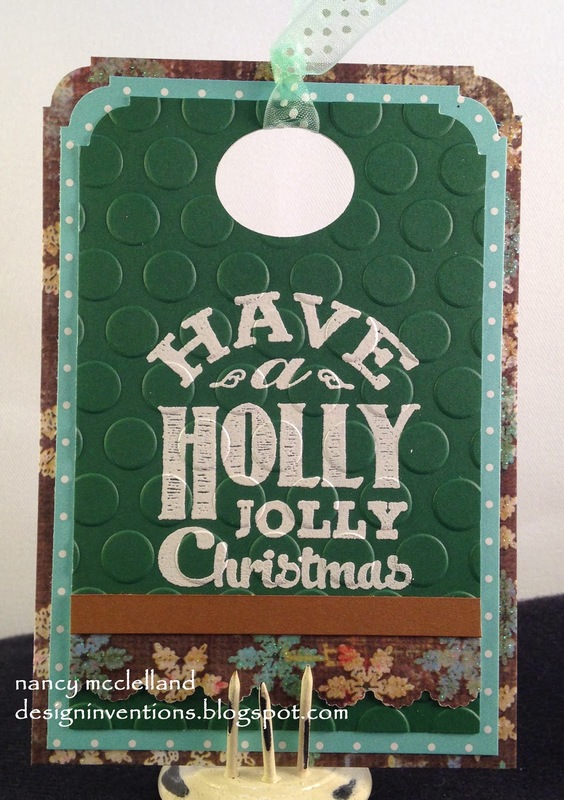 This is a very intricate/fancy design, so don't forget to have your wax paper available when using this die. 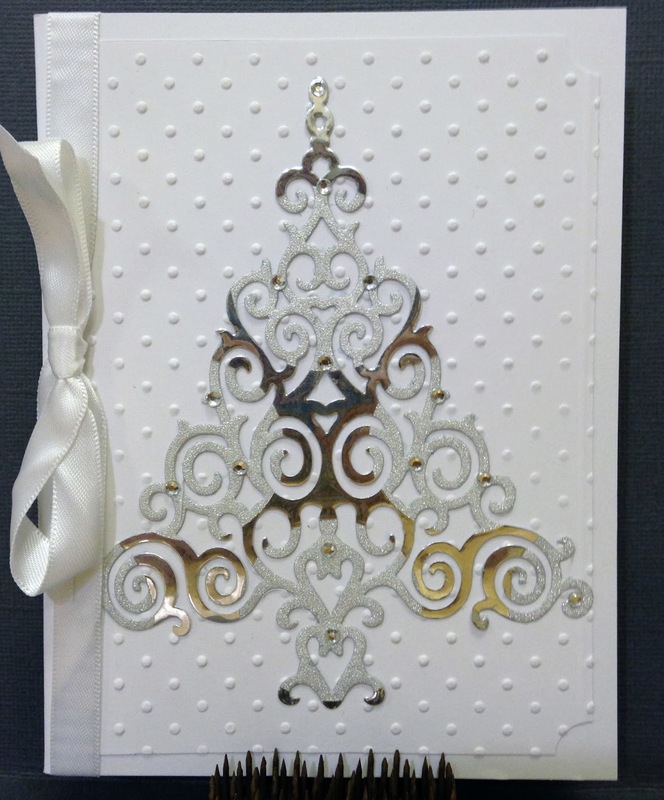 I did a basic white-on-white design and used some SCRAP to cut the trees. You can use fancy design paper, glitter paper or plain paper. I added clear gems on some and then even used colored gems on others. 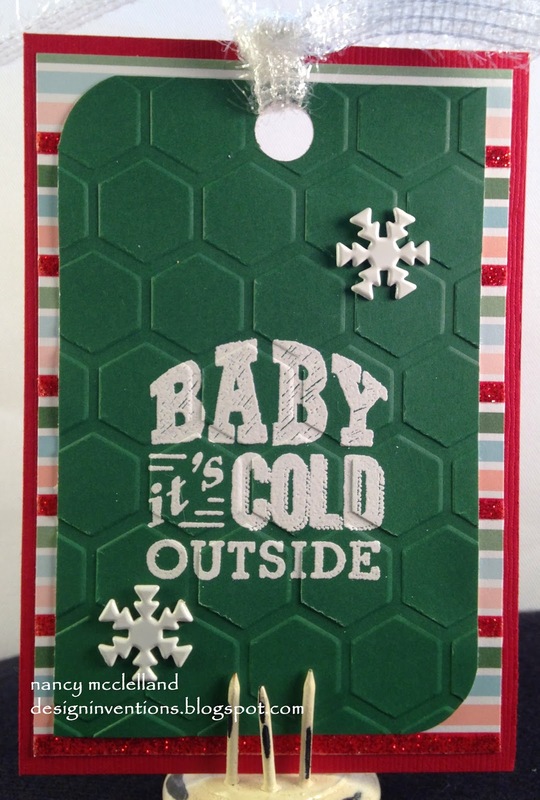 It's hard to see in the pictures, but I used various corner rounders on the one card layer. Pop on a bow and WOW! 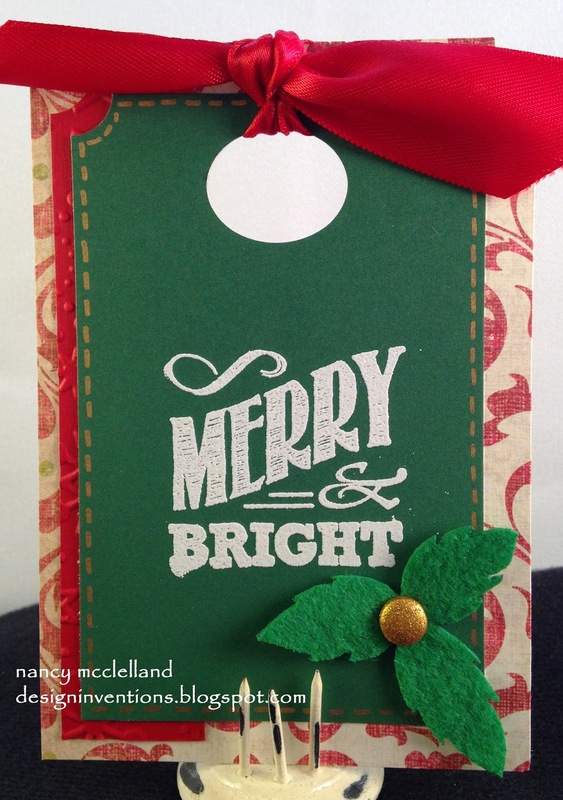 I hope you enjoyed this little holiday inspiration and thanks for stopping by today. Ok, so how do you like my catchy title? I was playing the other day and decided to work on some chalk board type sentiments. I wanted to use a green paper that really reminds of chalk board so I chose a stamps set from Amuse' Studio and started making tags. 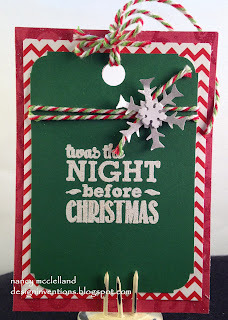 I have a total of 8 tags where I used scrap paper and ribbon. 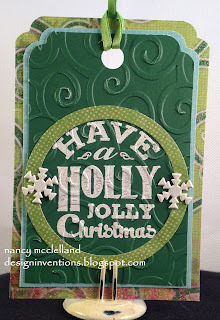 I chose a couple of embossing folders to add texture, various corner chomper designs and then some fun embellies. I hope this offers you some inspiration and I Thanks You for stopping today.